I'm going to order the adjustable fpr from summit. What fittings needed to add a guage also? • Do not use the Fuel Pressure Tester Kit on Diesel or Flex Fuel engines. 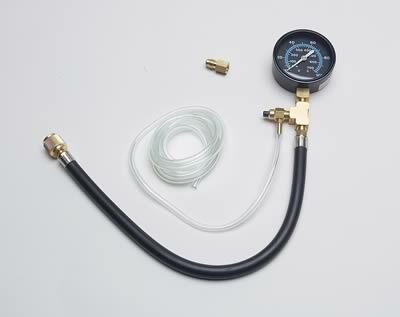 • Only use the Fuel Pressure Tester Kit on Gasoline powered engines. Last edited by davidmacq; 07-17-2006 at 09:38 AM..